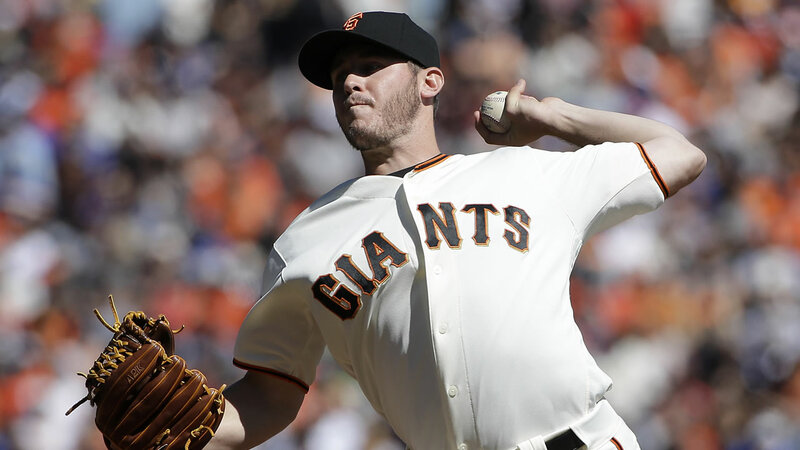 SAN FRANCISCO -- Rookie Ty Blach outpitched Clayton Kershaw, and the San Francisco Giants held onto their lead for the last NL playoff spot going into the final day of the regular season, beating the Los Angeles Dodgers 3-0 Saturday. The Giants stayed one game ahead of St. Louis for the second NL wild-card spot. The Cardinals beat Pittsburgh 4-3 earlier in the day. Matt Moore will start for the Giants on Sunday, and a win - or St. Louis loss - puts them in the playoffs. The New York Mets will host the NL wild-card game on Wednesday night. Blach (1-0) earned his first big league victory, pitching eight innings of three-hit ball. He struck out six and walked one in his second start in the majors, and also got his first two hits. Sergio Romo closed for his fourth save. Kershaw (12-4) gave up three runs, two of them unearned, in seven innings. Angel Pagan homered in the fifth to break a scoreless tie. Kershaw is already set to pitch the opener in the best-of-five Division Series against Washington. The Dodgers' loss gave the Nationals home-field advantage in that matchup.